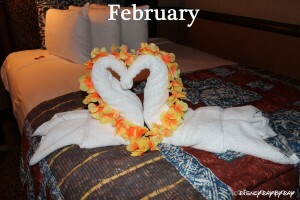 I love the towels and the lei. Very pretty, I just love when I get towel designs from Mousekeeping! I know – such a welcome surprise after you arrive or return from the parks. Our son looks forward to see what they have done, he always has to be the first in the room. Thanks for stopping by today! 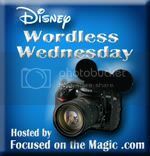 I hear you – Disney Fantasy Cruise is next for us – in 9 days!! A blogger after my own heart!! The Poly, and the theme park view side of Hawaii, is our Disney home!!! 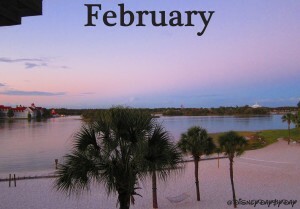 Great February ideas! Yes this was our home this past Dec – what a dream come true looking out at this view for a few days! Thanks for stopping by today! Beautiful calendar shots and oh how romantic!! Love it! Thanks for sharing. Glad you like them, thanks again for hosting us! Thanks! We love the towel art as well. Yes I agree, love the towel art! Those would be so beautiful on a calendar! Love the towels, especially!